I've never worn a watch. Call me crazy, but the idea of wearing the same accessory on my wrist every single day seems tedious. Sure, I've admired the chunky rose gold timepieces of fashion-conscious friends, but I just never jumped on the bandwagon. Then, this beauty from Steven Alan popped up in my inbox and stopped me cold. The Time Traveler Watch ($395) is pretty much the antithesis of the heavy metal watches we've been seeing. 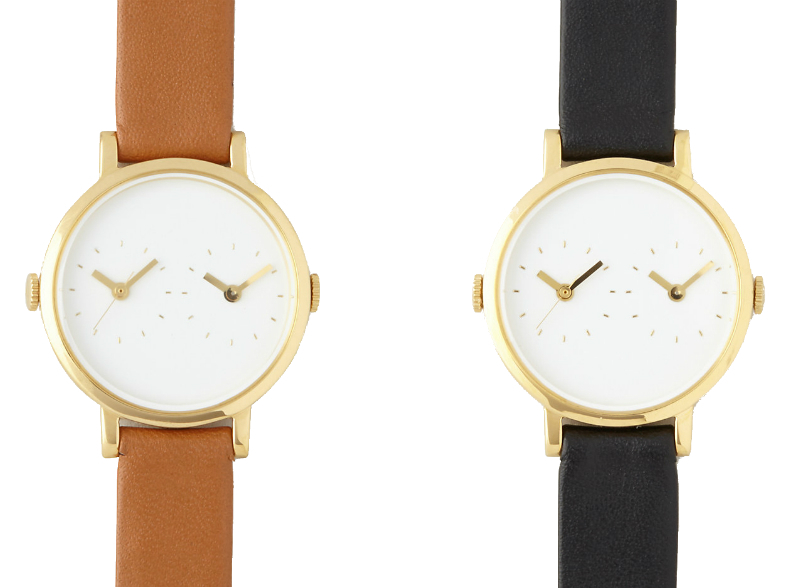 It's slim, sleek and perfectly simple, with it's gold-plated stainless steel body and smooth leather strap. Then, of course, there's the dual time settings (twin Japanese automatic movement, in case you care about that sort of thing). I can see it now: No more counting backwards seven hours on my fingers to call friends and family back in Boston. See? It practically a necessity for expats like me!